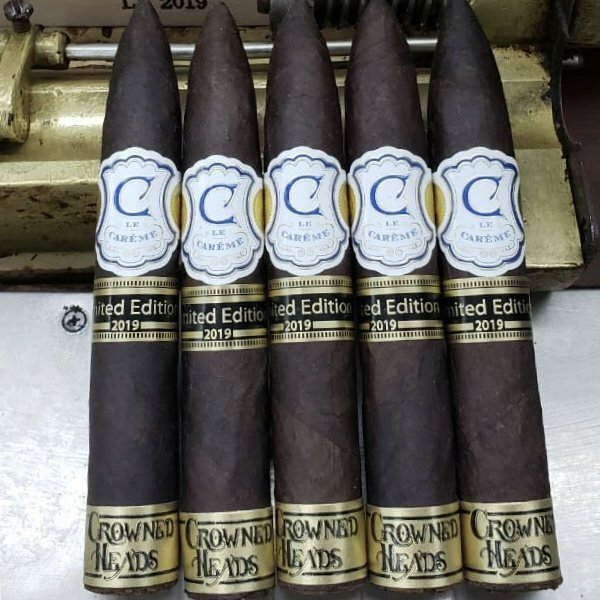 Under the heading, "back by popular demand," Crowned Heads has announced the return of the sought-after Le Careme Belicosos Finos in the form of a 2019 Limited Edition. This Limited Edition is dedicated to the Le Careme brand, and was inspired by the iconic Belicosos Fino (5 1/2 x 52) vitola. Unlike the regular production Le Careme brand which is trunk-pressed, the Belicosos Fino LE 2018 retains the round format for which the vitola is best known for via the Bolivar (CUBA) Belicosos Finos.